Whether you live alone or are a co-sleeping family of four, there’s the right size mattress for you. Though you may think you have only a few choices, there are actually many mattress sizes to choose from. What mattress size do you need? Read on to find out what size would suit your lifestyle and needs the best. These “bite-sized” mattresses give just enough room for one baby or toddler. A toddler mattress can be taken out of the crib and placed in a low toddler bed to give it more mileage. Parents can expect to use this mattress for about four years, depending on the height and weight of their child. This is the mattress kids first “graduate” to. It’s big enough for their taller bodies but can also be fitting for teens and small adults. The twin mattress is the most affordable of adult mattresses, so if you’re on a budget and are shopping for just one person, this can a good choice. For taller individuals who like the size of the twin, this mattress has a few extra inches on top. If your teens are feeling cramped in their twin mattress, this size is a good one to explore. However, this uncommon size requires sheet shopping in specialty stores or online. This mattress is the same height as a twin but is wider. Therefore, it’s great for anyone who likes more luxurious stretching space when sleeping. This is also an excellent choice for young adults who want a bigger bed but don’t want a queen to take up too much space in their apartment. This mattress is as tall as a twin XL and wider than a full. It’s the perfect mattress for couples or anyone who just wants some room to roll around. It’s more affordable than a king and is an excellent starter mattress for couples. This mammoth of a bed is the ideal compromise for couples that continue to fight about rubbing elbows during sleep. If you like to cuddle but not all night long, this bed provides opportunities for closeness while still giving each partner ample space to stretch their limbs. This is also the classic size for a family bed. 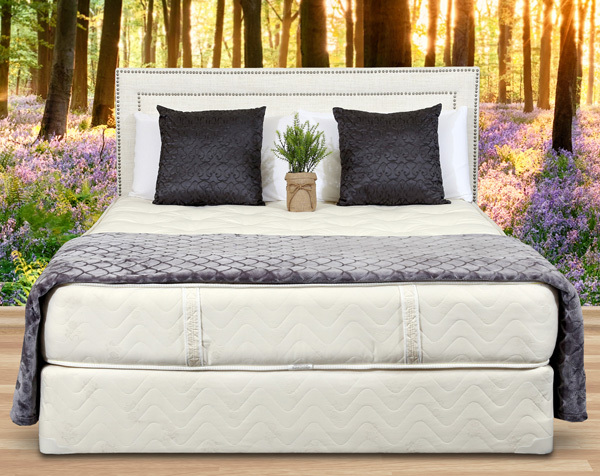 This mattress is taller than the queen, king, and twin XL, but slightly narrower than the king, the California king is good for the tallest individuals. It’s often a challenge to find sheets in this size since it’s not common, but you are likely to find them online. At Gardner Mattress, we offer the most popular mattress sizes: twin, full, queen, and king. We’ve been making organic, American-made mattresses since 1933 and know what makes a good night’s sleep. If you have any more questions about our products, please contact us today by calling 1-800-564-2736.